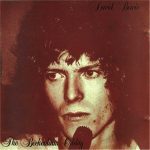 Six unreleased 1969 studio performances, in very good fidelity, provide a valuable supplement to the Space Oddity album. Actually, the 1969 date may be suspect for some of these; the demo of “Lady Stardust” sounds like the same one that turned up as a bonus cut on the Ziggy Stardust CD. 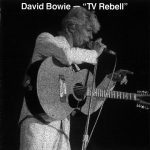 The acoustic (and excellent) version of Space Oddity likewise is the same one that turned up on the Sound and Vision box set, which leaves us with four true rarities, not exactly good value for an expensive bootleg CD. 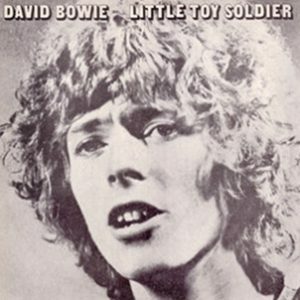 If you’re willing to cough up, though, these are very interesting, including a demo of “The Supermen,” a version of “Waiting for the Man,” and the odd hippyish “Right on Mother.” The real stunner, though, is “Little Toy Soldier,” a cutesy song about a little girl who gets flogged to death by her toy soldier after she pursues her sado-masochistic rituals with him too enthusiastically. The narrative is quite explicit and gleeful (with a direct lyrical lift from The Velvets’ “Venus in Furs”), and might prove too hot to handle for Bowie even today if it came out officially. A very interesting album in marvelous sound quality! The outtakes stems from ’67 -’71. 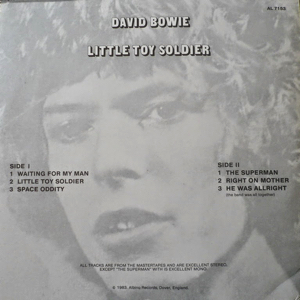 There’s no information on the cover regarding when these songs were recorded, and WAITING FOR THE MAN / LITTLE TOY SOLDIER might be as old as from 1967? 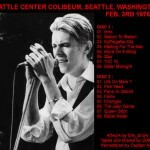 A true must in every Bowie collection! It is a short record, but the sound quality is just astonishing. I confess, there are very few and only very light crackles on the vinyl, but for a 30 year old record, believe me, you will not be disappointed when you listen to it, it is a true gem for lovers of old Bowie-Songs !! I bought this record in my beloved danish record-shop around 1984, it is an original from the first pressing.